Congo's latest Ebola outbreak has spread to a city of more than 1 million people, a worrying shift as the deadly virus risks traveling more easily in densely populated areas. Medical teams hurried to track down anyone thought to have had contact with infected people as this vast, impoverished nation—a veteran of eight previous Ebola outbreaks—for the first time is fighting the virus in an urban area. 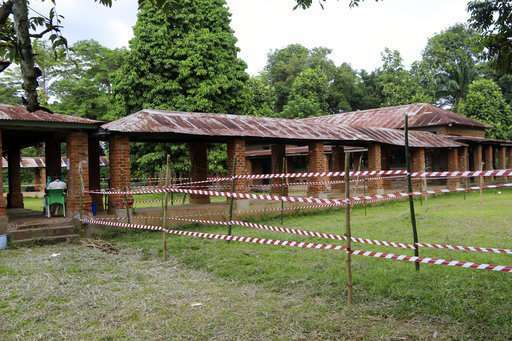 Two suspected cases of hemorrhagic fever were reported in the Wangata health zones that include Mbandaka, the capital of northwestern Equateur province. 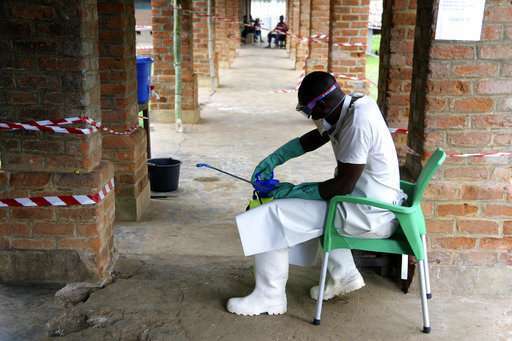 The city is about 150 kilometers (93 miles) from Bikoro, the rural area where the outbreak was announced last week, said Congo's Health Minister Oly Ilunga. One sample proved positive for Ebola, he said. That brings to three the number of confirmed Ebola cases. A total of 44 cases have now been reported, including 23 deaths, according to the World Health Organization. The total includes 20 probable cases and 21 suspected ones. "We are entering a new phase of the Ebola outbreak that is now affecting three health zones, including an urban health zone," Ilunga said, adding he was worried because Mbandaka is densely populated and at the crossroads of Equateur province. 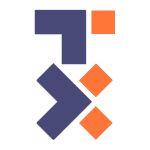 The city of almost 1.2 million is on the Congo River, a busy travel corridor in the vast country and upstream from the capital, Kinshasa, a city of about 10 million. "Since the announcement of the alert in Mbandaka, our epidemiologists are working in the field with community relays to identify people who have been in contact with suspected cases," Ilunga said. WHO said it was deploying about 30 experts to conduct surveillance in the city. 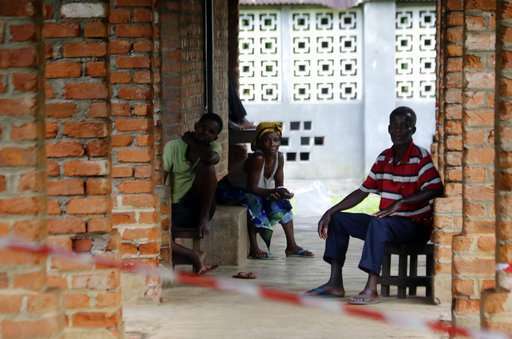 The aid group Medecins Sans Frontieres said 514 people who are thought to have been in contact with infected people were now being monitored. 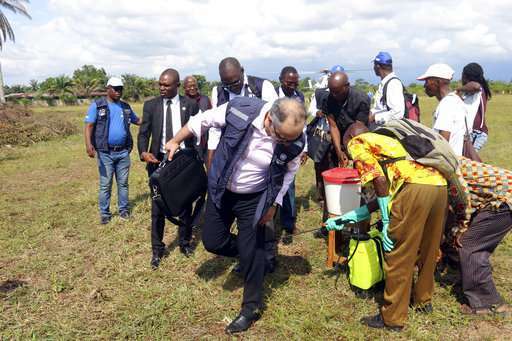 Those exposed to the suspected Ebola cases will for the first time in Congo receive Ebola vaccinations, the health minister said. WHO has sent 4,000 doses of the experimental Ebola vaccine to Congo and said it will send thousands more in the coming days as needed. 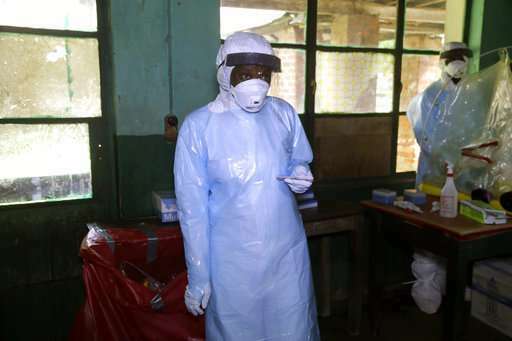 "This is a concerning development but we now have better tools than ever before to combat Ebola," Tedros Adhanom Ghebreyesus, WHO Director-General, said of the new urban case. 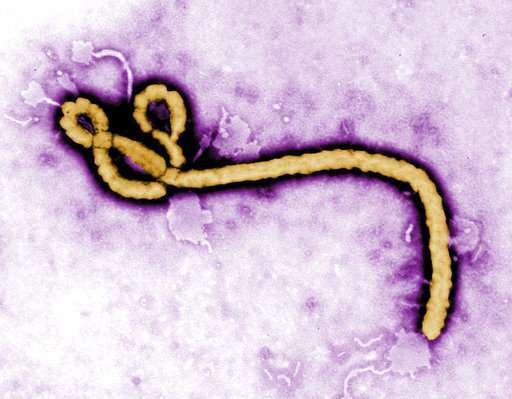 The experimental vaccine has been shown to be highly effective against Ebola. It was tested in Guinea during the outbreak that killed more than 11,300 people in West Africa from 2014 to 2016. The vaccine is thought to be effective against the Zaire strain of Ebola found in Congo. WHO has said it will use the "ring vaccination" method. It involves vaccinating contacts of cases and suspected cases, contacts of those contacts and health care and other front-line workers. There is no specific treatment for Ebola, which is spread through the bodily fluids of people exhibiting symptoms or those who have died from the disease. Symptoms include fever, vomiting, diarrhea, muscle pain and at times internal and external bleeding. Without preventive measures, the virus can spread quickly and is fatal in up to 90 percent of cases.